A startup called DoorBot has raised $1 million after selling 10,000 Wi-Fi videocamera doorbells for $199. DoorBot is a specialized smart home security device, so next time someone rings the bell outside your home, you can check who it is from an app on your phone — and without opening the door, talk to them via two-way audio. The Santa Monica, Calif.-based company brought in the funding after failing to raise money on the ABC TV show “Shark Tank,” whose investors passed on the deal for various reasons including competition and security risks (only one of the five sharks offered to invest, but with an onerous royalty rate that the company declined). But everything worked out okay. DoorBot was able to raise money at the same $7 million valuation that CEO Jamie Siminoff pitched on the show, he said this week. The money came from more traditional technology investors including First Round Capital, Upfront Ventures, Charles River Ventures and Matt Mullenweg. DoorBot sales are accelerating, according to Siminoff, with $600,000 worth of sales in the past month. And the 16-person company is now profitable. Siminoff said his team’s key innovation is the ability to squeeze out a year of battery life by keeping the device deactivated and then very quickly waking it up within a second. However, that design means that users can’t just open up the app and check outside their door at any time. They have to wait for someone to ring the bell. That should change in a coming update, Siminoff said. DoorBot was actually the example hardware product sold by Siminoff’s startup Christie Street, which launched a year ago as a sort of specialized Kickstarter for products. 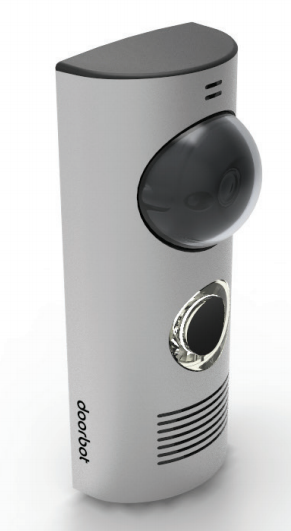 Since then, sales of DoorBot vastly overshadowed interest in a new crowdfunding site.